The team at WilsonPro recently launched a new suite of products for commercial end users who want to improve their indoor cell coverage. The launch includes the WilsonPro 4000R signal booster—a professional cell signal amplifier that expands cell signal coverage in large buildings of more than 100,000 square feet—as well as new filters to amplify a signal from a specific carrier of choice. The WilsonPro 4000R is the first rack mounted, cell booster to incorporate four separate signal amplifiers feeding multiple indoor antennas. The 4000R literally delivers the power of four boosters in a single rack mount unit, and provides cell coverage for up to 100,000 square feet of indoor space, or even more depending on the strength of the incoming signal from the tower. The multiple indoor antenna lines from the WilsonPro 4000R are outfitted with onboard software to ensure that each line operates at maximum signal output. If one antenna line experiences oscillation on a carrier frequency, that line will automatically adjust its signal gain on the afftected frequency, all while still providing stable connectivity throughout the building. 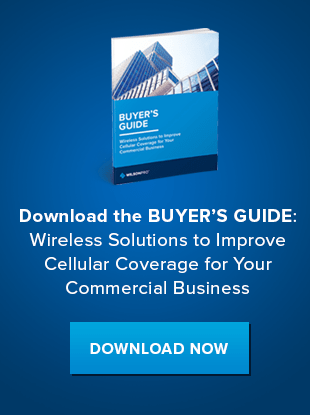 Learn how a signal booster can improve your indoor cellular connectivity. Easy rack-mounted installation. 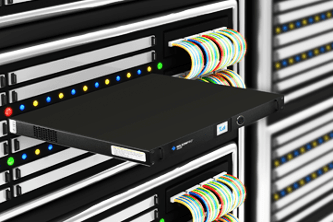 The 4000R is intended to fit into an existing server rack. This design allows for a neat and clean installation while leaving the unit easily accessible. Color LCD navigation. The WilsonPro 4000R has a color LCD screen with four-way navigation for easy and effective control. XDR Technology. Extra Dynamic Range technology (XDR), prevents the booster from shutting off in the event of signal overload. If the incoming signal becomes too strong, the WilsonPro 4000R adjusts signal gain to compensate for the overload condition while still providing even signal coverage throughout the building. Other cell signal boosters will shut down if they reach a specific incoming signal strength threshold, causing the indoor cell signal to drop completely. Because every job is a little different, WilsonPro has expanded its antenna offerings. Our newest antennas, the wideband Omni Outdoor Building and the wideband Dome Indoor ceiling, connect to in-building boosters, embracing existing signal to expand the booster’s reach, ensuring users receive the best cellular connectivity possible. The Omni Outdoor Building antenna transmits and recieves in a 360 degree pattern forall carriers, while the Dome Ceiling antenna does the same indoors for all cellular devices. To learn more about the WilsonPro 4000R, watch a video on its features and best practices for installation, or contact us to learn more.